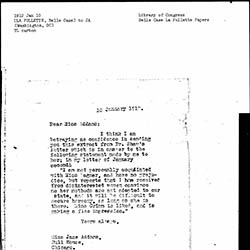 Hobhouse writes to Addams on her position with the British Committee for the International Women's Congress and personal matters of health and travel. 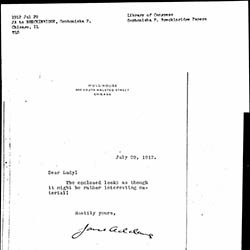 Jacobs apologizes about an article in the New York Times that will mention Addams and will interfere with Jacobs' meeting with President Wilson. 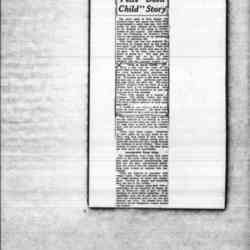 Jacobs also mentions a financial situation with Schwimmer. 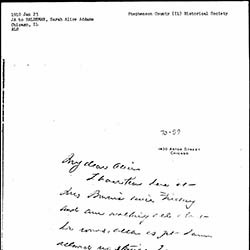 Addams responds to Breckinridge's letter after conferring with Sophonisba Breckinridge. 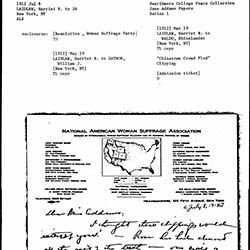 Addams does not accept the position of honorary vice president of the National American Woman Suffrage Association. 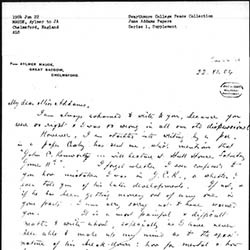 Williams tells Addams about another version of the "devil baby" story he heard in Pittsburgh. 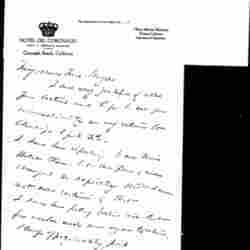 Addams invites Lady Gregory to Hull-House to see three plays and to have dinner with her. 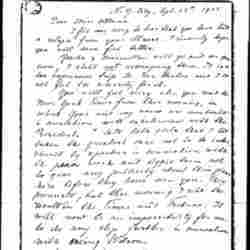 Addams asks Breckinridge to write Kellor a personal letter. 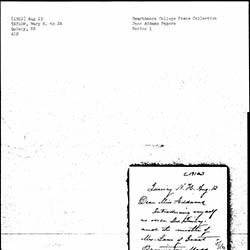 Addams sends Breckinridge a letter for her perusal and for filing. 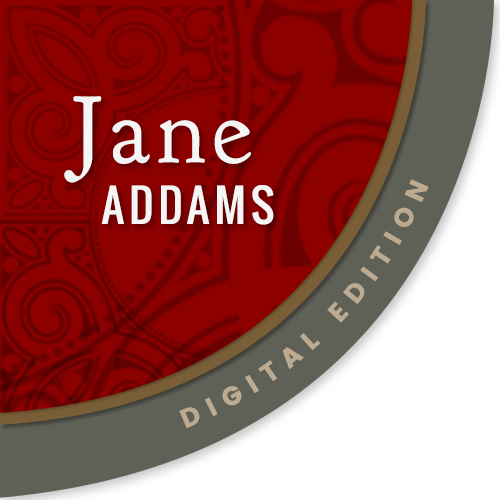 James writes Addams about some political intrigue with the woman suffrage movement. 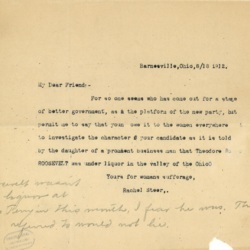 Steer writes Addams that Roosevelt is a drinker, and suggests that women need to assess his character. 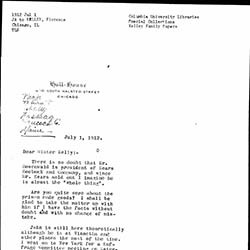 Taylor writes Addams with gossip about Theodore Roosevelt's mental state. 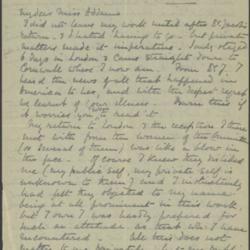 James writes Addams about some suffrage campaign intrigue and asks if she can delivers more speeches. 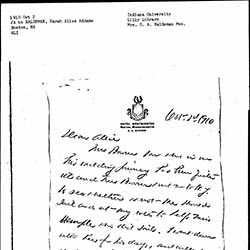 Taylor asks Blount to show others a letter from Jane Addams. 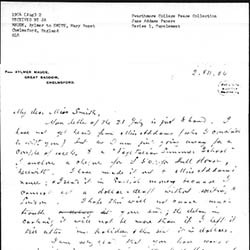 McCulloch asks Taylor to read an enclosed not from Jane Addams. 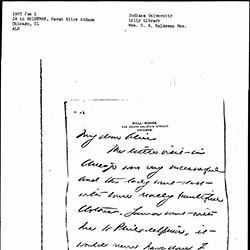 Addams writes to McCulloch about a message received from McCormick. 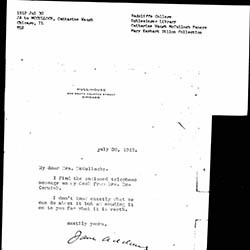 Addams sends Breckinridge some "interesting material" (not found). 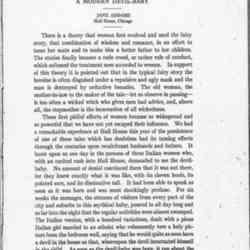 Laidlaw writes Addams about the upcoming trial of the men who attacked Rose Livingston in Chinatown in New York and the lies being spread about her. 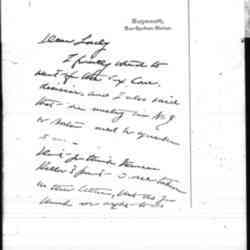 Addams asks Kelley for some clarification before she takes a matter to the president of Sears, Roebuck Co., and she sends news about a suffrage meeting and Lillian Wald's health. 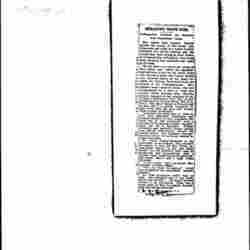 This article recounts the story of a parade of suffragettes stalled in Chinatown in New York City when someone mistook a flashlight for a firearm. 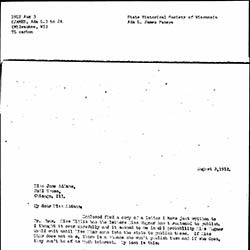 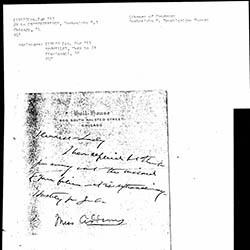 La Follette sends Addams Anna Shaw's response regarding some difficulty with Mary Wagner. 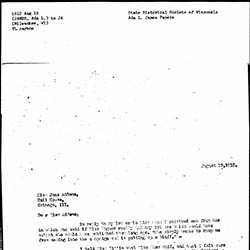 Addams writes Smith about camp business and visitors in Maine. 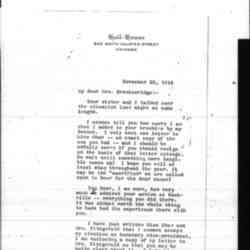 Addams writes Smith about her return home and about the approaching holidays. 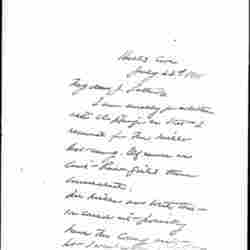 Addams writes Haldeman with family news and a question about whether or not she is coming to Chicago for medical treatment. 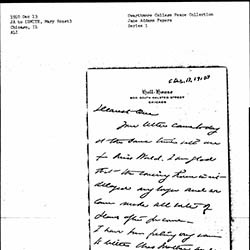 Addams writes Smith about her health and her activities. 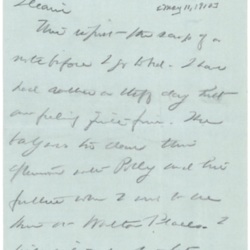 Addams writes Haldeman about her convalescence at Louise Bowen's home. 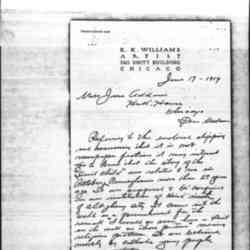 Addams writes Haldeman about recent visits with family and the activities of the Chicago School Board. 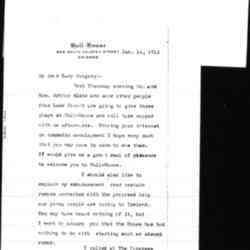 Maude warns Addams about the character of John C. Kenworthy, who he hears is speaking at Hull-House.